Microsoft will be releasing Windows 8 in one month but if you’re Intel CEO Paul Otellini, that’s too early. The chief told employees during a recent company event in Taiwan that Microsoft is releasing Windows 8 before it’s fully ready and that improvements still need to be made to the software, according to someone who attended the event as reported by Bloomberg. Despite Otellini’s belief that the next generation operating system isn’t ready, he still feels that Microsoft is making the right move. Redmond wants the OS to ship with computers and tablets to better compete with Apple and give overall PC sales a much-needed boost. 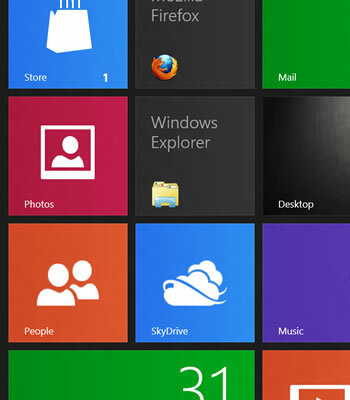 The CEO says Microsoft can make the necessary tweaks to Windows 8 in the form of patches once it’s out in the wild. It’s a surprising admission from Otellini considering the two companies are close business partners but Intel isn’t the only one calling out Windows 8. Analyst Michael Cherry from Directions said that while the OS is fundamentally sound, it lacks a lot of robust applications. Furthermore, he doesn’t feel that PC makers have had enough time to work on hardware drivers. This could lead to a number of compatibility issues as users look to connect existing hardware to new Windows 8 computers. Alex Gauna from JMP Securities LLC echoed these sentiments. In a note to investors dated September 13, he said his company is concerned at the level of bugs and fine tuning that appears to still be necessary to get systems ready for consumer release.